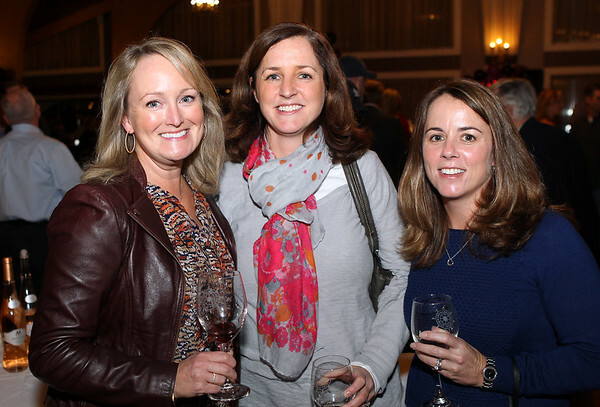 From left, Amanda Lyons Brinkley, Christine Purcell, and Melissa Rotker, all of Danvers, at a Wine and Food Tasting function for the Danvers Educational Enrichment Partnership (D.E.E.P.) held at the Danversport Yacht Club on Thursday evening. DAVID LE/Staff photo. 10/30/14.